Along with the release of OS X Mountain Lion, Apple today also released an updated version of its iTunes U learning app for iPhone and iPad. 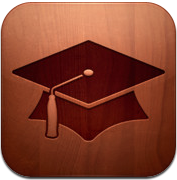 iTunes U was originally released this past January as part of an increased education push for the company. The new iTunes U adds a note-taking component and a much improved search function, as well as a mechanism for sharing courses via Twitter, Mail or Messages. iTunes U 1.2 now makes it easy to take notes while watching or listening to a lecture. This update also adds the ability to search within posts, assignments, notes, and materials — from any of your subscribed courses — using the improved Search feature in iTunes U. It is also now simple to share your favorite courses with friends using Twitter, Mail, and Messages. During the earnings call with analysts yesterday, Apple revealed that 14 million users have downloaded iTunes U with 700 new K-12 schools and 125 colleges and universities enrolling in the program. 750 new courses have been added recently as well.